As you might expect, handling email bounces and subscriber statuses is a complicated balancing act undertaken by email service providers like Salesforce Marketing Cloud. 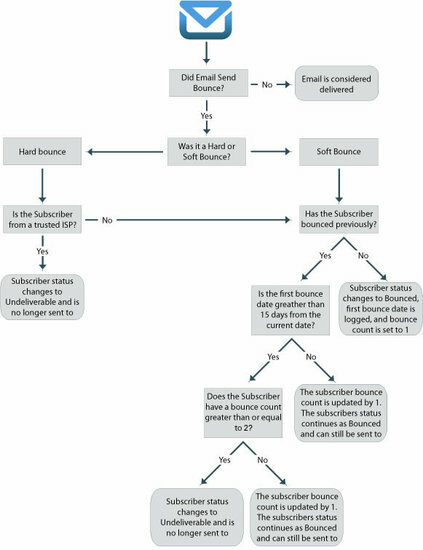 Hard bounces, soft bounces, held status, unsubscribed, undeliverable — what do these really mean? Here is more info on that. Just wondering; if a ‘held’/’bounced’ subscriber’s email address is updated does marketing cloud change the subscriber status back to active? Bounced is transient. SFMC will reset those to active. Held is a different story. Pretty sure at that point they won’t try to ever send to that email address again. You can configure an automation to change them from a status of ‘held’ back to ‘active’ on change of email address. Hello – For the contacts that I’m receiving/have received hard bounces for, I want to automatically select “Email opt out” for them in SFMC. Would you know how to automate that process? Thanks! If you do this and the customer then updates their email address how will you know whether the email opt out was a user selection or a system selection? If you head down this path I would add another attribute to keep track if this was an system action or a user action.